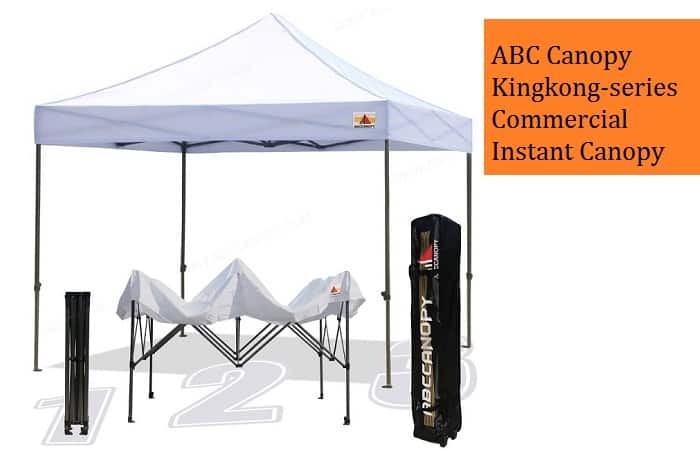 You can bet on Abccanopy-Kingkong for quality going by its superb make. The canopy tent provides you and your guests with dignified shelter under all weather conditions. The best thing about the 10ft by 10ft tent structure is that it is made of Industrial-Grade-Steel. Structural integrity is therefore not compromised which assures safety in the event of unlikely weather conditions. The tent also comes with braided rope-tie downs which add on its already unquestioned strength. The nylon fittings make a smooth glide when making up the tent. Once the tent has been anchored, you can go ahead having fun about being blown away by the wind. In the event an outdoor event will run for some days, you are sorted on having to erect the tent on a daily basis. The good thing is that all its spare parts are available. You do not have to buy another tent just because some parts are broken. Yes, user safety has been given prominence in making the tent. The tent features a thumb lock with pinch-free capabilities. Your nice experience partying should not be abruptly halted to solve a medical emergency occasioned by abrasions. The tent is the kind that can be commissioned or brought down by people of all ages since there is no risk of pinches. Stress points where peaks poles converge with canopy have been reinforced to prevent the tent from collapsing. The best thing about using the tent is that it is an all-weather product. Made from 300 Denier Polyester with PU lining, it is 100% Waterproof. Its heat sealed seams prevent seepage of water from rain getting into the tent. The interior of the tent is moisture free to guarantee safety to users who most of the time will have electronics such as laptops. You would want to prevent electrical fire hazards at all cost when living in such a flammable structure. When it comes to transportation, you only have to roll the wheeled bag. No need of having other people help you lift the weight. The tent has been designed with portability being among the insight to the manufacturers. The super heavy duty roller bag is a moving store capable of serving you for more than three years. The bag’s top is made from a durable material while its wheels are mounted on steel to give it stability while on the move. What is more is that the bag has six-month insurance just to assure you of its superior quality. 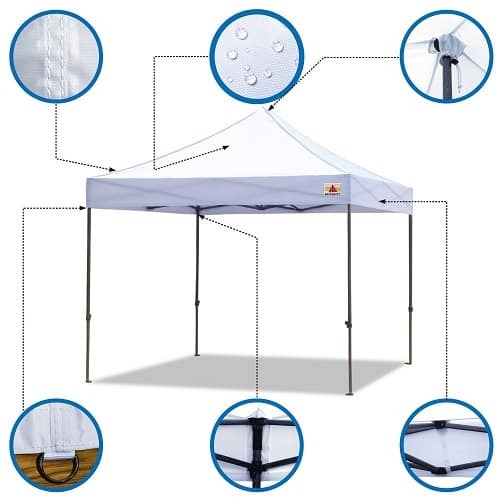 The Abccanopy tent is about living up to its set standards and giving customers value for their money. The Abccanopy tent provides a 100 square feet of shade and thanks to its straight leg design, no partial protection from sunlight. 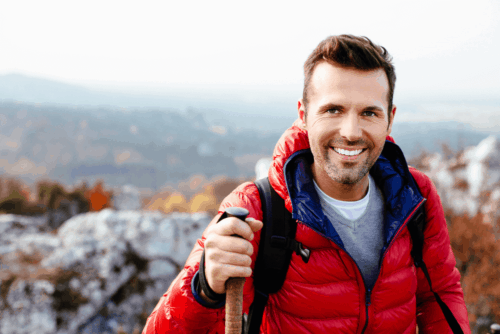 Here you do not have those experiences where your head is basking on the sun while your waistline and below are safely tucked in the tent. Further, the tent looks trendy and ideal to match those good-looking parties on a beach, by the poolside or even picnics portraying your exquisite taste for fashionable possessions. A little bit of sunlight is a healthy source of Vitamin D, but exposure to too much can give your guests a heat rush and in severe cases heat stroke. You the best for all to make a lasting memory about excursions which the Abccanopy 10ft by 10ft tent is constructed to give. It is sensible to prioritize safety and well-being of those you care about most. Abccanopy is the perfect blend of quality and comfort. On top of its safety features, it gives an assurance during set up and that your guests can safely have fun when it is set. You do not want a structure bruising your hands before the party starts! Rust resistant coating increases its aesthetics and makes it not be messy to handle which makes you stand out as cool! What’s the Difference Between Canopy and Tent?